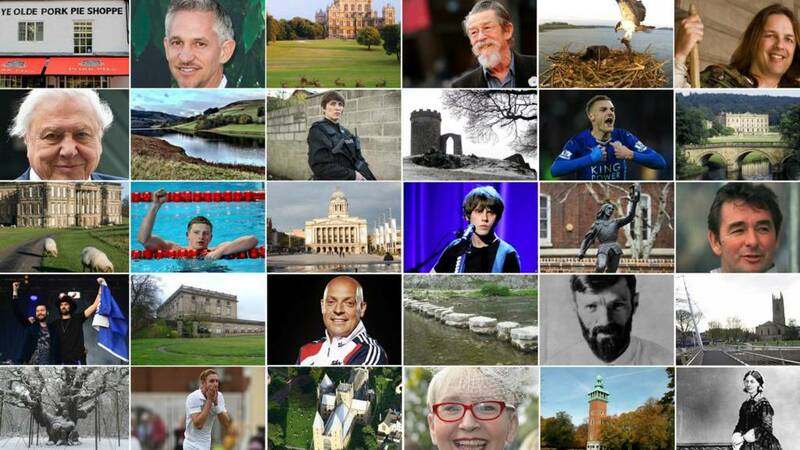 Listen live to your BBC local radio station in Derbyshire, Leicestershire and Nottinghamshire. That's all from the East Midlands live page - updates will start again on Friday at 08:00. Clear spells will develop overnight. It’ll stay dry with light winds. It’ll be hot and sunny on Friday with cloud steadily building over the course of the day - perfect for a Friday night barbecue! The Derby Pakistani Community Centre has called for more to be done to understand why young Muslims are vulnerable to being radicalised by extremist groups. Shokat Lal is from the centre said there is "nothing normal" about extremist behaviour. He also believes there has been a reduction in the number of people being radicalised in the Derby area. He said this is because extremist groups used to be able to recruit on the streets - handing out leaflets and approaching young Muslims. He said you don't see this anymore. He admits that the internet has allowed it to go "underground" and vulnerable people are being "groomed" online instead. A driver has spoken of his shock - after witnessing a car driving down the wrong side of a dual carriageway in Mansfield. Richard Hayes's dashcam captured the incident, which took place at about 12:45 BST on Wednesday on Southwell Road West. He said: "I saw the car on the wrong side of the road and I was in complete shock. "I tried to wave him down [to highlight he was going the wrong way] but he blanked me." Nottinghamshire Police has said its enquiries into the incident are ongoing. British and Irish Lion Dan Cole has been feeling the heat at a Lions media session. The England and Leicester prop earlier trained with the remainder of Warren Gatland's squad as preparations continue for their 10-game tour of New Zealand. Nottinghamshire captain Chris Read has been passed fit for the club's upcoming County Championship match against Gloucestershire. Read had been unable to field during the draw with Glamorgan after suffering a hip injury. Stuart Broad has also been included in a 13-man squad for the match that begins tomorrow. It's elderflower season so the pickers are out in Belvoir collecting the flowers to be used in cordial. Belvoir Fruit Farms need 3.6 million flower heads so they can keep up with the demand for its fruit drink. The flower only blooms for between four and six weeks so they need an army of pickers to help collect them. A representative of NET told me the tram was travelling into Market Square from the Theatre Royal when the back end of the tram derailed, leaving these marks on the ground. The front end of the tram is still on the track, but the back is now partly on the pavement. The tram operators, NET, have just released this statement following the derailment in Old Market Square. One of our trams has been stopped in Old Market Square after wheels on its rear bogie disengaged from a section of track whilst it was performing a low speed turnback manoeuvre. No passengers were on board at the time. Due to the problem with the tram, we currently have no service between our Royal Centre and Nottingham Station stops. Nottingham City Transport (NCT) is currently accepting tram tickets on their buses between The Forest and Nottingham Station. Our technicians are on site to rectify the situation and we hope to restore services as soon as possible." BBC Radio Nottingham reporter Sandish Shoker has just sent this picture of the police cordon around the derailed tram in Old Market Square. Police have said no-one has been injured following that tram derailment in Old Market Square in Nottingham. Nottinghamshire Police has attended the scene to assist members of the public. A tram has derailed in Old Market Square in Nottingham. In a tweet, NET Nottingham said services between the Forest and Old Market Square have been affected due to a faulty tram and engineers were on site. You can follow service updates on the trams here. Police investigating reports of gunshots being heard in Leicester on Sunday have arrested a second person - a 16-year-old boy. The shots were heard on Tolton Road, in the Beaumont Leys area of the city, just before 22:30. There were also reports of a small group of men in the street. Police found no-one injured at the scene and said no-one went to hospital with firearm injuries. Another teenager arrested earlier in the week has been released from custody. 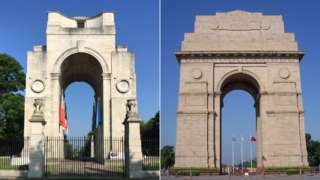 Wreaths were laid at monuments in Leicester and New Delhi to commemorate Indian workers. The entry list for the men's Challenger Tour event in Nottingham is expected to be announced on Monday. British number three Dan Evans has already confirmed that he will be playing at the Nottingham Tennis Centre between 10-18 June. The entry list for the women's event has already been confirmed and full details can be found here. The new Conservative-led administration of Nottinghamshire County Council has been criticised for withdrawing a plan for quarrying for building materials across the county. Labour, who are now in opposition, said the withdrawal of the Minerals Plan was "crazy and dangerous". But the Tories said Labour had planned to dig up more of the county based on out-of-date figures. The plan was withdrawn following the support of Mansfield and Ashfield Independents for the Conservatives' proposals. 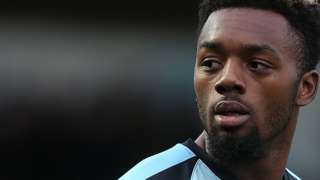 Relegated Chesterfield agree a deal to sign striker Gozie Ugwu on a two-year contract ahead of next season in League Two. A vigil will be held in Market Square in Nottingham later to honour the victims of Monday evening's terror attack in Manchester. The event, organised by local faith leaders and community groups, will take place by the Brian Clough statue at 18:00. Local imam Dr Musharraf Hussain said: "We can think of no more horrific and callous an act, no more cowardly a deed, than to target innocent lives - many of whom were just young children. "We will not allow those who wish to divide us through acts of violence and brutality succeed."